Meizhou Union Chemical Co., Ltd. which was established in 2003 and located in Dongsheng Industrial District, Meizhou, Guangdong, China, is specialized in manufacturing Sodium Metabisulfite with a minimum annual production capacity of 50,000 metric tons, and has been award the certificate for compliance with the standard ISO9001:2008,ISO14001:2004 and Kosher certificate. 'Survive by quality and develop by reputation' is company's objective. 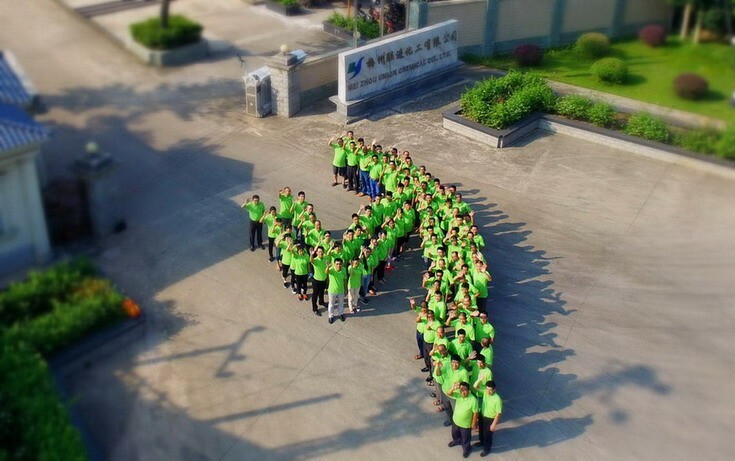 Meizhou Union Chemical Co., Ltd. has won clients’ trust by strong technical ability, advanced production equipment, complete test means, a high degree of professionalism, quality services and well-deserved reputation. The quality of its "Lian Yi" branded Sodium Metabisulfite is stable and applied in industries leather making, pharmaceutical and food etc. We sincerely expect to establish business relationship with customers home and abroad under principles of “equality and mutual benefits” and “honoring contracts and keeping promises”.